The Beehive is our studio. It’s where the magic happens. Yes it’s a house, but it’s sole purpose is creative fun and happiness. Everything happens here from classes, to design to packing and shipping your beloved projects. Its a fun happy space with the prerequisite lime green walls. In addition to the classes I teach, we love inviting national teachers to the beehive to spend the day or spend the weekend. There is always something new to learn and a good time is had by all. If you need more information on any of the classes listed or would like to sign up, give us a call 410.296.0405 and we’ll do the rest! See you soon. Bedecked and Beadazzled reserves the right to cancel if the minimum number of students is not reached 30 days prior to the event. All fees will be refunded in this case. If you need to cancel, please be aware: deposits are non refundable. Balance of class is due one month prior to class date. After this date, no refunds are possible. Where to Stay? and How to get Here? There are many hotels in the Lutherville/Timonium area. Here are a few that our customers like. If you are flying in, you will want to fly into BWI (Baltimore Washington International) airport. We are pleased to offer an additional rewards program that will help with class costs, Edu-Credits! For every class you attend with a National Teacher at Bedecked and Beadazzled you will receive one point. Reach eight points and you will receive a credit toward your next national teacher class equal to $160. This means your ninth class could be almost FREE! The points roll-over year to year and do not expire so you can accumulate points at your own pace. 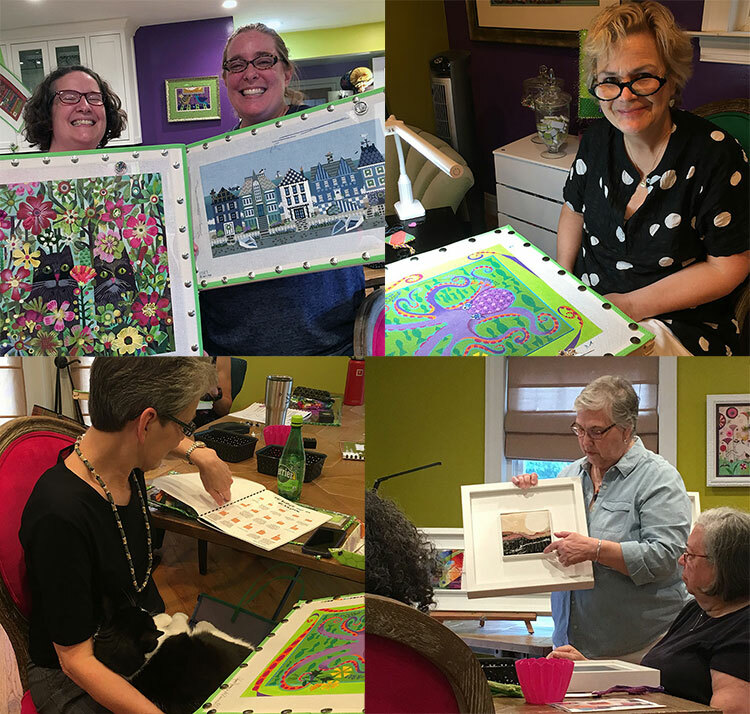 Consider our classes and join the fun!